This is a Kiwi. 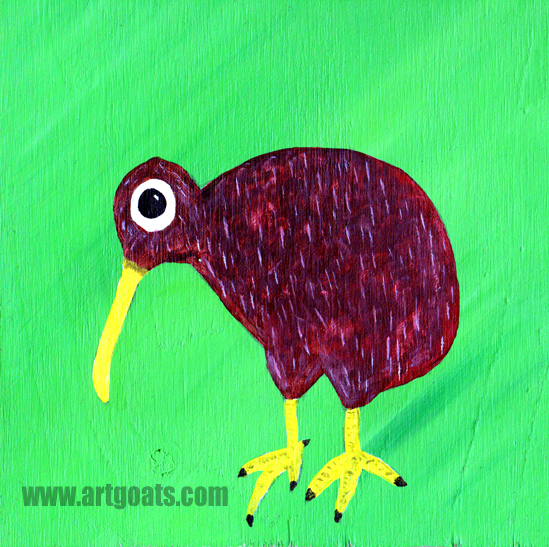 Kiwi’s are the hidden gem of the bird world. These wingless darlings chase the nights in the podocarp and beech forests of New Zealand. Known for their heart of gold, inability to fly, and their huge freaking egg, these little buddies will win your heart over as they have the whole country of New Zealand. 8″x8″ Original on wood. Ready to hang. Sold. Visit my store for other exotic creatures here.